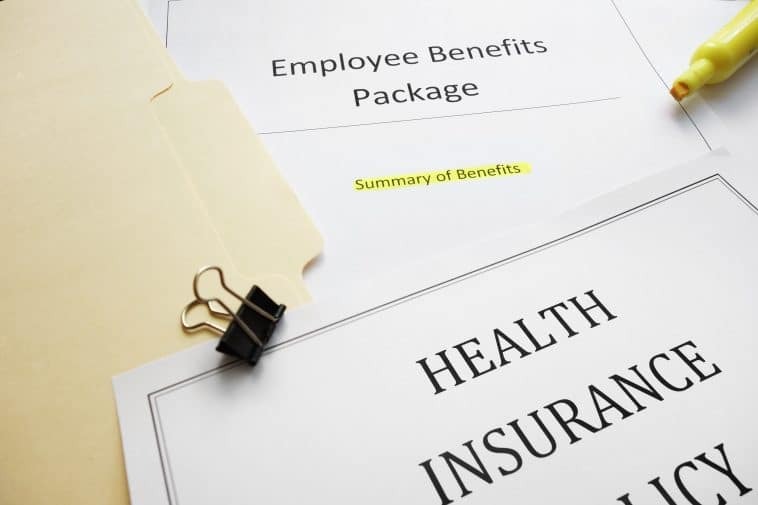 The Employees’ Health Insurance (EHI) and Employees’ Pension Insurance (EPI) are pension funds that are designed for company workers who make income-based contributions. They provide benefits and support to employees in their old age, as well as in the event of disability or death. Coverage under these insurance systems is mandated by law. Individuals working in a company or factory with 5 or more workers must be covered by the EHI. The same rule applies for those who work in a HOJIN corporation regardless of nationality or preference. A company is defined as one that conducts business specified by the law. Foreign nationals are allowed to work in the country depending on their resident status but they are also required to purchase policies and must be insured during their time in Japan. The employer needs to process the new staff’s enrolment by submitting the “Application to Enroll in Employees’ Health Insurance / Employees’ Pension Insurance” (Shikaku Shutoku Todoke – Kenko Hoken / Kosei Nenkin). This form has to be submitted to the Japan Pension Service (JPS) Branch or to the Processing Center that services the employer. Dependent family members may apply for coverage if they are financially supported by the employee. This applies to up to third level family members – great grandparents and grandchildren. Other family members such as uncles, aunts, brothers, sisters, nephews and nieces need to be living with the employee in order to qualify for dependant coverage. Enrolment into the system should be done through the employer. The company will submit the “Application for Dependant’s Coverage” (Hifuyosha Ido Todoke) to the JPS Branch Office or Processing Center which services the company. Contributions to the Employees’ Pension Insurance and Employees’ Health Insurance are calculated based on the employee’s monthly salary (Standard Monthly Remuneration), including bonuses. The total contribution amount is split equally between the employer and the employee. Monthly Salary (Standard Monthly Remuneration) – is the basis for calculating insurance contributions and benefits for EPI and EHI. Remuneration includes all types of payment made to the employee in the form of salary and allowance in return for services rendered. Bonuses and similar incentives paid at intervals of more than 3 months is not included in the standard monthly remuneration. Standard Bonus Amount – the bonus received from the employer at intervals of more than 3 months. The amount is rounded down to the nearest 1,000 yen and the maximum total standard bonus amount considered for the calculation of payment contributions under EHI is 5.73 million yen in one fiscal year. Contribution Rate – different contribution rates apply for EPI and EHI. Visit this website for the EPI contribution table. Meanwhile, for the EHI contribution amount table, please refer to the Japan Health Insurance Association website. The employer deducts the employee’s share of contribution from his or her salary and bonuses then pays the full amount by the last day of the next month. When the employee takes childcare or maternity leave, both the employer and employee may be exempt from making contribution payments. Individuals can receive Old-age Employees’ Pension from the pensionable age to 65 years under the National Pension System. Pensionable age at the moment is 60 years old and is based on the employee’s date of birth. This age, however, is being raised. You need to submit the “Application for Pension: Old-age Benefits under National Pension / Employees’ Pension Insurance (Nenkin Seikyusho: Kokumin Nenkin / Kosei Nenkin Hoken Rorei Kyufu) to the local JPS Branch or Pension Consultation Center. Required documents include your Pension Handbook and a certified copy of your Family Registry. Please refer to your local JPS office for inquiries regarding your specific case. Individuals born from April 2, 1941 to April 1, 1949 (or from April 2, 1946 to April 1, 1954 for women) may be eligible to request for early payment (in partial or full) of the Old-Age Basic Pension. If your monthly remuneration and your monthly Pension is more than ¥280,000 in total, your specially provided Old-Age Employees’ Pension may be reduced or suspended while you’re still working. In the event of an accident resulting in disability, an employee may claim Disability Employees’ Pension or lump-sum payment called Disability Allowance. To qualify, he or she must be covered on the date of his first medical examination for the disability-causing sickness or injury. He or she also needs to satisfy certain contribution requirements for the Disability Basic Pension. Disability levels range from Grade 1 to 3 depending on the seriousness of the injury. Grades 1 and 2 disability may be eligible for both Disability Basic Pension and Disability Employees’ Pension. Grade 3 disability is qualified for Disability Employees’ Pension only. Higher than Grade 3 disability, meanwhile, is eligible for lump-sum payments or Disability Allowance. Individuals may claim for disability benefit by submitting the “Application for Pension: Disability Benefits under National Pension / Employees’ Pension Insurance” (Nenkin Seikyusho – Kokumin Nenkin / Kosei Nenkin Hoken – Shogai Kyufu) to the local JPS office. Required documents include the Pension Handbook, medical report indicating the individual’s medical history and certificate of diagnosis from the doctor, including how the disability could affect daily life and work. The deceased is insured or was previously insured and died 5 years from the first medical examination of this injury or sickness. He or she must be covered under the EPI system and satisfied the contribution requirements for Survivors’ Basic Pension at the time of death. Benefits awarded to children will be paid until the first March 31 following the child’s 18th birthday. Surviving kin needs to submit the “Application for Pension: Survivors’ Benefits under National Pension / Employees’ Pension Insurance” (Nenkin Seikyusho – Kokumin Nenkin / Kosei Nenkin Hoken – Izoku Kyufu) to the local JPS Branch office. Required documents include the deceased person’s Pension Handbook, a certified copy of the family registry and medical certificates. Non-Japanese citizens who have been covered by the EPI during their stay in the country may claim payments within 2 years after they leave Japan. They can claim payments for at least 6 months of coverage and if they are not eligible for pension benefits. The Employees’ Health Insurance and Employees’ Pension Insurance is a government mandated system designed to provide old-age, disability and death benefits to workers regardless of nationality. It is compulsory for all employees working in a company composed of at least 5 workers. It is important for every worker in Japan, including foreign nationals, to understand their rights and responsibilities towards contributing into this system and making benefit claims under the EHI and EPI. Do I need to be a certain age to enrol into the EPI and EHI? All residents of Japan aged 20 years to 59 years are required by law to enrol into the National Pension and Health Insurance System. The same rule applies if you want to be enrolled into the Employees’ Pension Insurance and Employees’ Health Insurance systems. The only other basic requirement is that you should be employed by a company. My employer does not support health insurance and pension coverage. Can I contribute to the National Pension System voluntarily? All companies and workplaces that employ 5 or more workers are required by law to enrol their staff into a health insurance and pension insurance scheme. If your company, for some reason, does not provide this benefit, please contact your local Japan Pension Service branch for assistance. I will be on maternity leave soon. How do I apply for exemption of contribution until I'm ready to go back to work? You need to update your status with the Japan Pension Service to be able to get exemptions from making contribution while you’re on maternity or childcare leave. The application can be forwarded through your employer. I work part-time. Am I covered with the insurance? What is a "specific covered workplace"?